Goa is certainly one of the most appealing tourist destinations in India. Irrespective of the age group, everyone seems to be fond of this beautiful city with innumerous beaches. You might be looking for various package deals to Goa in order to spend some private and romantic time with your beloved in this hotspot. However, before you decide on which package deal to choose, you must know about the best beaches in Goa for a romantic getaway. 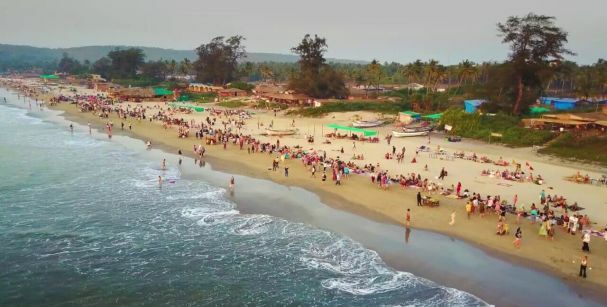 Not long ago, this beach was an untapped beach of Goa but gradually people have taken notice of the beauty of the beach and have made it fall under the list of top beaches in Goa one must visit. 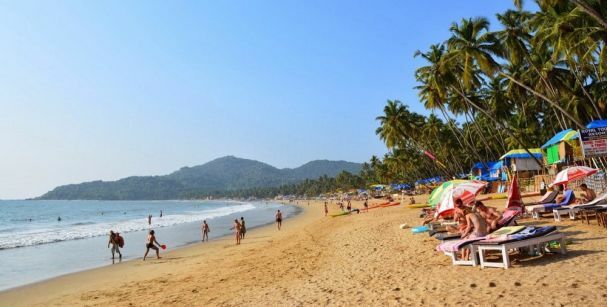 This beach is located in the northern side of Palolem beach with no direct route. One must take a boat ride to reach the place. One can also opt for the jungle route which is good for the ones with the passion of hiking or trekking. The beach has got its beautiful name due to the abundance of butterflies in this area. In addition, this beach is also known to have easy spots to see dolphins, crabs, and goldfish as well. One can witness one of the breathtaking sunsets from this beach and the semi-circular look of the beach adds to the beauty of it. As the Butterfly Beach is not among the most popular beaches in Goa, the lovebirds can find some quality time for each other and walk hand in hand by the seashore. It is one of the best beaches in Goa for honeymoon couples as it provides the tourists everything at one place. One can not only relax by the serene sea but also sightsee some of the beautiful dolphins, wallow in water sports, go on a cheap shopping spree and engage in some wildest nightlife. The Goan delicacies available by the beach are a must try for all as it reflects the culture of Goa. As the beach appeals to the masses, the couples most probably will find themselves surrounded by strangers but yet, to make a memorable vacation, you must take out time to experience the wonder of Vagator Beach. This beach is again not very famous among the tourists, yet some of them are aware of the attractiveness of this place. One can seek help of the fishermen residing by the sea to get a sight of the smart and beautiful dolphins. One can also opt for paragliding if they want to boost their vacation excitement and buy wide-ranging things to take back home. This beach is also called Harmal Beach and the couples will be very happy to visit such a place where they can experience the exquisiteness of the beach along with finding some solitude and peace. 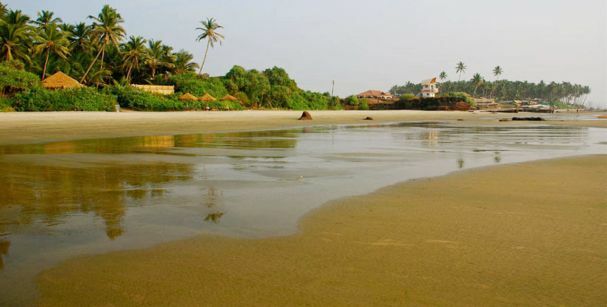 Due to its unpopularity among the tourists, one can consider the beach as some of the private beaches in Goa. The beach provides a spectacular view of the horizon and the view of the coastline is also something special to look at. It is interesting to know that this Ashwem Beach is the home to the Olive Ridley Turtle that have fall under the list of endangered species. One can satiate their hunger by savoring in the best of the Goan dishes available by the beach and also have a great nightlife after the sunset. Though the beach does not offer water sports, one can relieve their unwanted stress by treating themselves with the Ayurvedic Massage. It is unquestionably a very romantic place for the couples longing for a private time with one another. 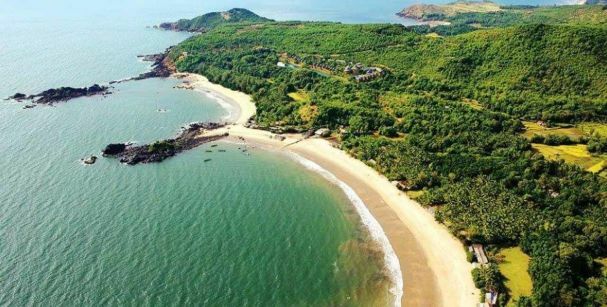 This beach comes under the best beaches in South Goa as it is the best place for the one looking for a much relaxing space and soothing climate. Walled by the lush green palm trees, the beach is a sight to behold. To experience living by the sea, one can even set up a tent by the beach and feel the thrill of spending a night by the sea. 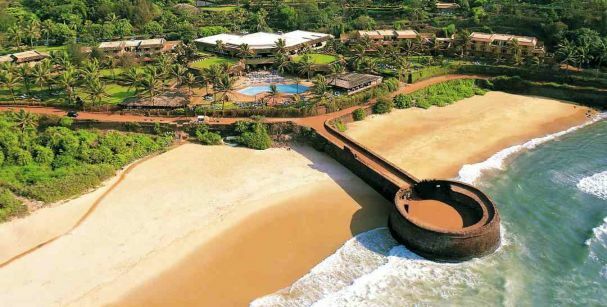 To dive into the scrumptiousness journey of Goan delicacies, Agonda beach is the right place to do so. Besides, the nightlife of Agonda beach is something experience once before you leave the place. Couples can test their adventure skills by experiencing water skiing and surfing. The shops by the beach are also attractive to the tourists and you can get a lot of beautiful handicrafts or clothes for your much-loved partner and families back home. To get the cheap and best package for Goa, ask for our services and we will ensure to help in making your holiday with your dear one affordable and hassle-free.